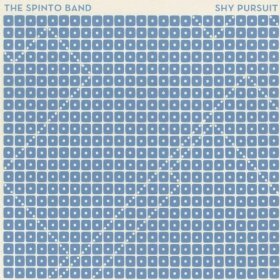 The latest release by the recently-quiet Spinto Band, Shy Pursuit, is a unique combination of elements. “The Cookie Falls” is one of the most bouncy tracks on the album. Sounding a bit more like a song out of a children’s movie than an album track, the song is energetic in an immature way. However, the track is on the same album as “Muesli.” It’s vibrant and fits in perfectly to the indie-rock-singer-songwriter theme. The track is also energy rich and indulgent in a youthful way. It’s funny sometimes how that works out: the same album can feature two entirely different tracks that don’t sound like they belong on the same album. Another unique one on the album is “Leave Yourself Alone,” sounding a bit more like a Maximo Park song mixed with the Beatles than prior releases from the Spinto Band. Whether you’re a fan of the Spinto Band or not, Shy Pursuit deserves attention if not for its mixed style but for the unique combination of tracks it features. No track will sound like any other you have ever heard.